We are about 2 weeks away from the funnest Summer Holiday- 4th of July! Oh the fireworks, the patriotism, the beach (or pool), the BBQ's and for us fashionistas- the red, white and blue outfits! Loving my Fashion Loopy Arm Set! I will be giving away an identical set next week, so stay tuned!! You can also choose from a variety of arm sets and accessories here! 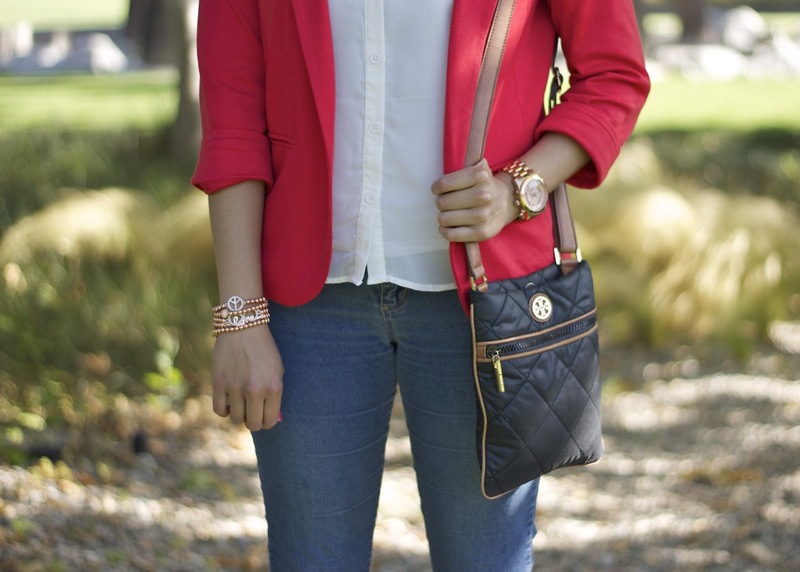 About the Outfit: Blazer c/o Wallis, Arm Candy c/o Fashion Loopy, Sunglasses ℅ Rolling Threads, Tory Burch Purse (similar), Forever 21 Top and Jeans, Shoedazzle flats. Pictures by Oscar Nava. P.S. My HUGE Beauty giveaway ends this Friday- enter here! P.S.S. 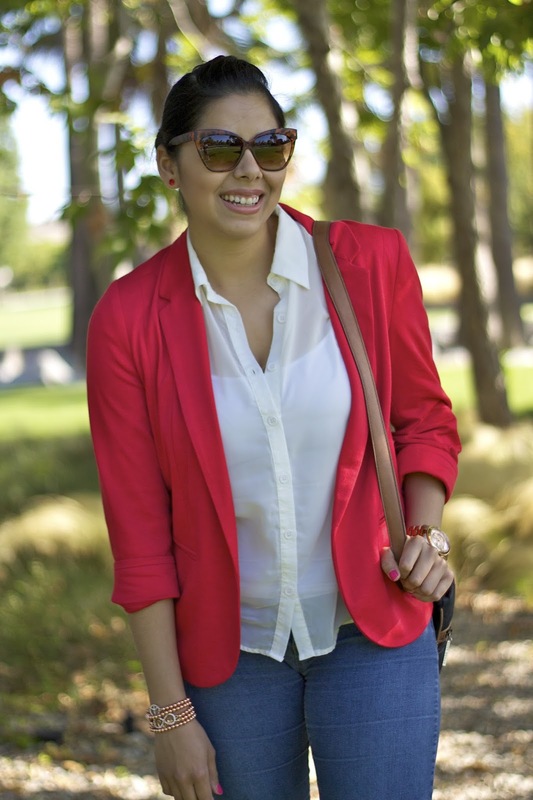 Don't forget to vote for me Vote for me in the Wallis Summer Style Blogger Contest! Love those shoes! You look so gorg! 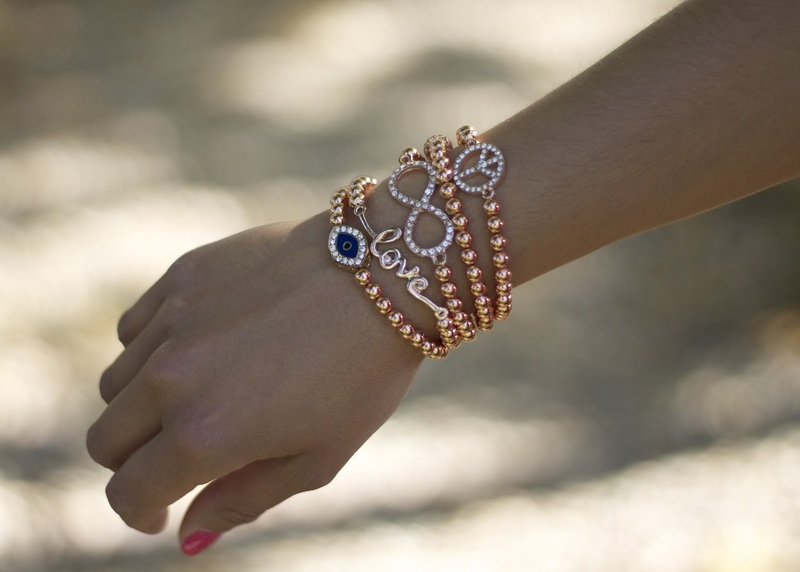 Can't wait for that giveaway...super cute bracelets! Super cute and I love your flats! Love the shoes, Paulina. So perfect for 4th of July! You've motivated me to figure out my own 4th outfit now!! those flats are too cute! i love them! Very cute look, those shoes are so fab! Those flats are super cute and I love your blazer! very beautiful outfit. you just reminded me i need a red blazer too. OMG! I really like your outfit. You are so chic! I like everything. Ah the shoes are A-dorable!! What a cute patriotic look! Perfect for 4th of July:)! 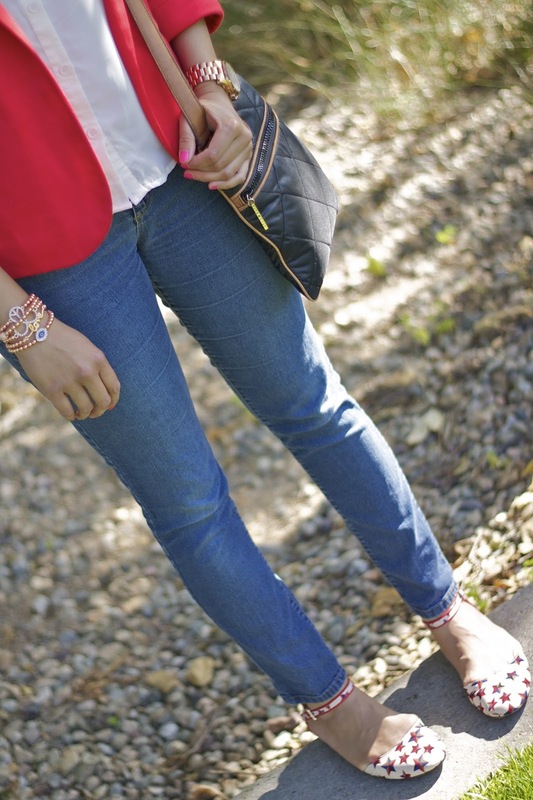 Those star spangled flats tie the whole look together:)! I'm loving those star-crazed flats! They are so fun!